Some jobs really are a delight to work on and this doesn´t disappoint. A couple of jobs we currently have running on a listed farm house and barn conversion up on the Saddleworth moors. "Since we began working with Hardy Access Services in 2010, our relationship has been built on trust. We count on their honesty, integrity and expertise. 20 successful projects later, they still exceed our expectations, without question." "We’ve worked with Hardy Access Services on 5 projects over the last 4 years, and we’re always impressed with their thoroughness and commitment to quality. They have always met or exceeded our expectations." 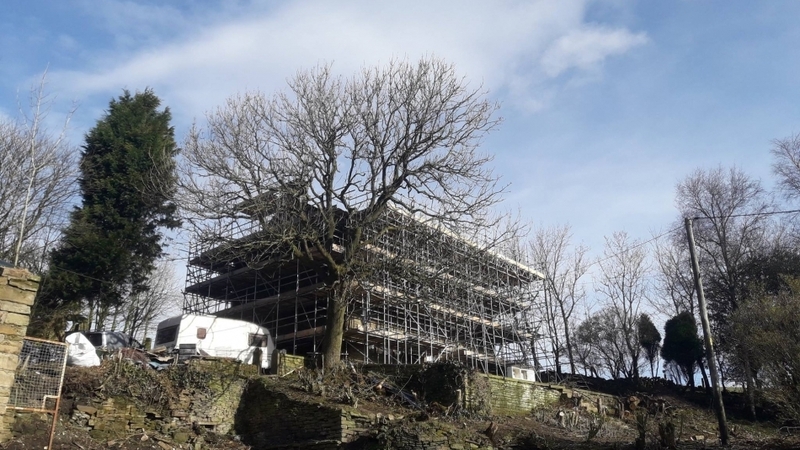 "Hardy access have provided access solutions for Stone Edge on numerous Heritage projects, Projects that are particularly sensitive, logistically difficult and require courteous and conscientious scaffolding teams, on all occasions Hardy have serviced our requirements well." "Both Grade listed projects that Hardy Access have been involved with, we have been impressed by both the attention to detail and the professional attitude of their staff. We would not hesitate to recommend Hardys to anyone requiring scaffolding." I never know how we can thank you and your team from Hardy Services for arranging and building the podium for Morecambe and Lancaster's AFD, the podium looked spectacular. 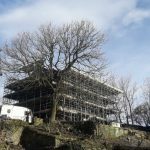 "My sister recommended this company as she used this company for scaffolding her house in April, I decided to book them as well for my extension renovation project. They always came on time and were so friendly and a pleasure to work around."